I admit it: I’m no sailor. I love looking at the ocean, swimming in it, or smelling the salty air by the water, but choppy waters or a rocking boat make my head spin and my stomach churn. Sometimes the challenges we face can make us feel like we’re out on a rough sea, with no safe harbour close by. We might react physically to the stress with nausea or dizziness and worry that we’ll never touch solid ground again. That’s where our faith comes in. The disciples feared for their lives because of the waves that threatened to swamp their boat, but when they cried out to Jesus, he calmed the storm. No matter what crisis we face, God offers us shelter from the storm. He hears our prayers and answers them, though not always in the way we would like or expect. He can bring peace to our hearts and keep the waves from overwhelming us. Over the past few months, I’ve felt like I’ve been fighting a losing battle against the waves. But lately the waters have been a little calmer. My son will soon be finished exams. A loved one fighting cancer is nearly done his chemo treatments. I’ll be starting a new job soon, with appropriate work clothes (thanks to Dress for Success). I’m in the best shape I’ve been in for ten years, and I feel strong enough to take on the challenge of balancing the demands of my job and home life. And I have more love and support around me than I could have hoped for. I’ve held onto my faith despite my worry and feelings of being overwhelmed. I’ve kept praying and going to Mass when all I could do was just be there. And God is bringing me through it all. I pray that, if we feel like we’re never going to reach the shore, we would stop struggling against the waves and ask God to guide us there. We’ ve all heard about criticisms levelled at people whose physical challenge wasn’t immediately obvious—arthritis or the early stages of multiple sclerosis, for example—when they used parking spaces reserved for those with a disability. Not all pain or illness is easy to spot. But do we keep that in mind as we go about our day? We see the driver moving too slowly in the passing lane, or the person with too many items in the express lane at the store, or the cell phone user chatting too loudly, and we assume the person is inconsiderate or uncaring of the rules or selfish. Do we ever stop to think about what this person might be dealing with? We’ve mentally tagged the person as obnoxious when he or she might be reeling from a personal situation: a layoff, the needs of elderly parents or young children or both, a recent health scare or an ongoing health situation, a marital crisis, financial loss, or even a combination of these. That person might be more tense than usual when driving, unaware of how many items are in the cart, too caught up in the situation to worry about who can hear the cell phone conversation. Too wrapped up in his or her stress or pain to worry much about social graces. Too busy working to keep putting one foot in front of the other to be concerned about others’ opinions. We can’t do anything about the behaviour of strangers, although we can work harder to keep from taking it personally and to remember that we have no idea what they might be struggling with. As for people we know, if they’re acting out of character, we can do something. We can reach out. Invite them out for coffee. Ask how they’re really doing and whether things are okay. Offer to pray with or for them. Let them know someone cares enough to ask. I’ve been coping with a lot of stress this year. I hide it fairly well with smiles and little jokes. And makeup. But those who know me have seen the stress and offered support—a phone call, a text, a hug, coffee and conversation—and that has made the stress a little more bearable. Now, most people are not looking for a litany of our problems when they ask how we’re doing, but it’s sad that “Busy!” has become such a regular and accepted response to the question. Is that any kind of way to live—wishing the days would go by so that we can take a deep breath—when our lives will be too short for us to accomplish all of our goals or all the good we could do? I understand feeling that way. For me, it goes something like this: “I’ll like myself more when I’m thinner…If I could just sell the house, that would be one big item off the to-do list…” And I quickly find myself overwhelmed by what’s on my plate. It’s about crying to him if we need to and seeking comfort through the Holy Spirit, finding that listening ear we desperately need, and remembering that God has good plans for us (see Jeremiah 29:11). If we need a little extra motivation, here’s a thought: do we want our children to keep putting off enjoying life until some event happens—to wish their lives away? Or do we want them to see that, despite the curves life throws us, we can still find comfort in God, pleasure in the blessings he gives us, and a deep-rooted joy? I pray that, if we find ourselves postponing our happiness until some future event unfolds, we would stop to smell the roses, or enjoy cooking dinner, or play with our children, or appreciate whatever other gifts God has blessed us with. For the past few weeks, my life has revolved around preparing my house for sale. I’ve been cleaning, purging, packing and donating items, but much of the work has been done by others: the real estate agent, carpet stretcher, piano movers, hardwood floor refinisher, painter, window installers, and repairman/renovator. We’ve been living out of suitcases at my parents’ home and living in our finished basement owing to a lack of furniture on the hardwood floors upstairs—and to the fact that there’s a piano in the middle of my kitchen, waiting to be moved from there back into the living room. To say things have been a little chaotic would be an understatement. And along with the physical effort and upheaval, my emotions are all over the place: worry about how long it could take to sell, sadness about the changes in my life, anxiety about what lies ahead. Finding a little quiet in the chaos remains easier said than done. But even in the chaos, I still find God. I talk to him about my doubts and fears and my lack of strength, and he is always with me. And he has blessed me with, as one pastor used to describe it, “God-incidences.” Skilled tradespeople have been able to fit me into their schedules on short notice and at a good price. Music and yoga teachers and people at church as well as extended family have provided me with more of a support network than I could have hoped for, given that I struggle with reaching out to others. And my son has been more helpful and cooperative than usual. Whether our chaos is the unexpected kind or the everyday chaos of school or work and family responsibilities, I pray that we would find those moments where we share what’s on our hearts with God and let him speak to us in the way he chooses—through an offer of help or support when we need it, a timely job opportunity, even beautiful sunshine after cloudy days or birdsong early on a cool spring morning. May we open our hearts to hear his voice. First of all, then, I urge that supplications, prayers, intercessions, and thanksgivings be made for all men, for kings and all who are in high positions, that we may lead a quiet and peaceable life, godly and respectable in every way. This is good, and it is acceptable in the sight of God our Savior, who desires all men to be saved and to come to the knowledge of the truth. When we make time to pray, our leaders may not be the first ones that come to mind. Maybe we’re so focussed on the needs of our family and friends and our community, as well as our own concerns, that we just don’t think about those in authority. But notice how the stress of governing turns the hair of these men and women from blond, brown or red to grey or white. From the newest backbench member of Parliament to the longest-serving politician, from party leaders to the prime minister, all are in need of our prayers for guidance, wisdom and strength. They’re considering the needs of their constituents along with the goals of their party, as well as handling any family commitments they may have. And doing so on what may be a very public stage, given our 24/7, quick-as-a-blink news coverage and society’s long memory when it comes to embarrassing incidents and scandals. Not to mention the importance of the issues they deal with each day: health care, education, environmental protection, economic growth, immigration and refugee issues, the public service, euthanasia, the need to heal the scars of the residential school system, and so on. 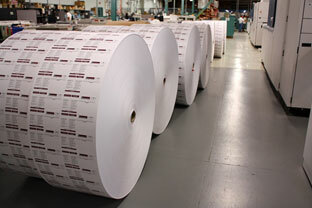 Rolls of blank, uncut Voter Information Cards (Elections Canada). When we stop to pray for the leaders of our ministry groups, our parish and diocese, and the Catholic Church, we could take a moment to pray for our elected representatives at the municipal and provincial levels and our federal candidates (see the Elections Canada website) so that our leaders—and, through their decisions, our society—would be shaped by God’s values. There are two seasons in Canada: winter and construction. It’s an old saw but one that holds true in my corner of Ottawa. We see roads being widened and pipes laid, police officers directing traffic, and pylons sitting in different positions every time we head out. Trying to gauge the time to reach our destination is challenging at best, with work on several major roads under way. And my frustration level is climbing, along with everyone else’s. Since returning to Ottawa a few years ago, I’ve found tailgating to be a real problem, along with drivers’ assumption that others will roll through stop signs—and this has worsened with the ramped-up construction. Drivers block intersections as they try to squeeze through lights, and they honk their car horns, irritated with the slower-than-a-snail’s-space progress. Whether we’re taking kids to day camp or daycare or summer school, heading to and from the bus station for our daily commute or to the grocery store, or going camping or sightseeing as a family, time on the roads is a given. We need to exercise our common sense, caution and patience. Maybe that means planning to leave a little earlier, combining errands, having snacks handy, stopping more often on longer trips, and keeping a little more gas in the tank than usual and distractions (such as beeping electronics or passengers’ cell phone chats) to a minimum. And praying that God will keep us safe in our travels this summer. That no one shall be hurt as I pass by. May take away or mar that gift of Thine. From the evils of fire and all calamity. With joy and courtesy go on my way. Protect me and lead me safely to my destiny. Last year, my son’s Confirmation class had a daylong retreat a few weeks before the service. One group activity involved preparing a grace to say before lunch, the reward for the best-written prayer being the right to be served lunch first. Some of the graces were very thoughtful and creative, and others…well, they were works in progress. At times I’ve wished that I were more comfortable praying on the spur of the moment, or even that my prayers sounded more polished, but that’s not my gift. And that’s okay. Jesus’ prayer for the disciples and future believers before his arrest (John 17). But we often read shorter prayers in the Bible, such as Samson’s plea to the Lord that he be avenged on the Philistines for the loss of his eyesight (Judges 16:28), Elijah’s call for the Lord to send down fire on his offering to show that he is God (1 Kings 18:36-38), and Jesus’ prayer commending his spirit to God (Luke 23:46). Then he gave us the Our Father to pray—not a long prayer, but a profound one. When we pray, may we not worry about choosing the right words or phrases but instead pray straight from the heart, knowing that God hears and understands what we need. Our parish priest, soon to mark the anniversary of his ordination, asked us to say an Our Father, a Hail Mary and a Glory Be for him on that day so that he would continue to be a good priest. That got me wondering: do we think about the prayer needs of priests? And do we pray for them? Long before the always-connected age we live in, priests have been on call 24/7. When not saying Mass, they’re writing homilies, meeting with parishioners to prepare for weddings and baptisms, presiding at weddings and funerals, ministering to the sick and the dying, and taking care of parish business. Priests need us to pray that they’ll have the energy, strength and wisdom to carry out their parish responsibilities and that God will call parishioners they can depend on to help with parish duties, outreach and various roles at Mass. Since they’re only human, priests may have times where they question their vocation or feel as though they’re in a spiritual desert. They may struggle with burnout, depression or addiction as they deal with the demands of their work. Priests need us to pray that they’ll have time to spend in prayer and spiritual reading and to take a vacation or staycation for their mental, physical and spiritual refreshment and renewal—and that they’ll seek counselling if they need it. Priests may be sent to minister in parishes far from home—in another diocese, or even in another country. Their families may be distant geographically but never so far away they don’t worry about and miss them. Priests need us to pray for the health and safety of their families. Our parish priests need our prayers, even though they may not ask for them. This week, may we take a moment to bring their needs before God during our prayer time. the priests who helped me when I was in need. Jesus, High Priest, call many more men to become priests to minister to us and show us your face. Everything we eat, wear and use in our daily lives results from the efforts of many people, so one of the guided meditations in an app I’ve been using reminded me. North American society, however, places a high value not on interdependence but on independence and even self-reliance. Our culture praises people who succeed “on their own” by relying on their talents and instincts. Our wisdom and knowledge aren’t meant to go to waste, but we need God’s perspective on the ways we should use them. If we go full speed ahead with our plans without talking things over with God, we may miss out on the wonderful plans he has for us. We may have good intentions, but the way we act on them may not bring the greatest benefit to others. We may think we understand a problem, but we may not know as much as we believe. Imagine a natural disaster occurred in a foreign country and an aid agency here decided what people needed and shipped it without consulting aid workers already on the ground in the disaster zone. The shelter and equipment might not work well in that climate, or perhaps the food and water purification supplies would be inadequate given the size of the affected area and the number of people involved. Imagine instead that the leaders of this same organization prayed about how to respond, and the Holy Spirit pointed them to the people in the disaster zone who knew what and how much their people needed—and maybe that the scope of the disaster was even greater than the aid agency knew. What a difference relying on the Lord would make! And behold, the LORD passed by, and a great and strong wind tore the mountains, and broke in pieces the rocks before the LORD, but the LORD was not in the wind; and after the wind an earthquake, but the LORD was not in the earthquake; and after the earthquake a fire, but the LORD was not in the fire; and after the fire a still small voice. And when Elijah heard it, he wrapped his face in his mantle and went out and stood at the entrance of the cave. I pray that we would be thankful for the wisdom and knowledge we gain but that we would not try to do everything in our own strength, trusting instead that God has a plan for us and listening for that still small voice to guide us. I have a lot of love and respect for my mother. 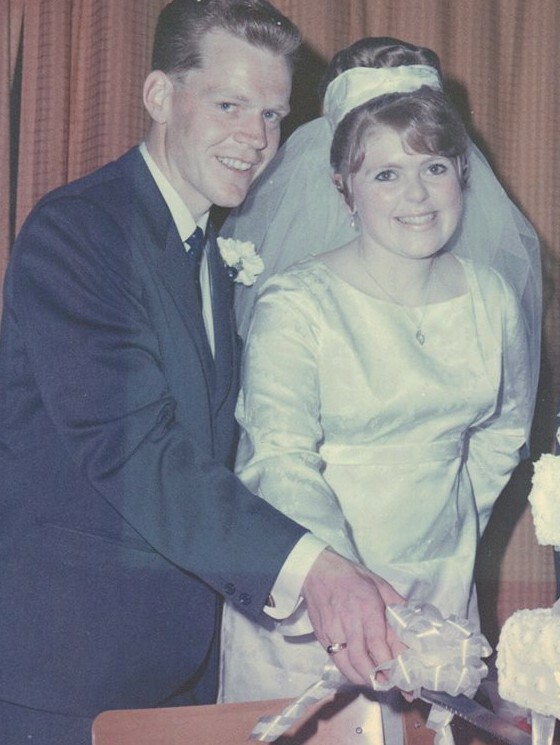 A very smart and creative woman, she has raised two children and many pets (and some livestock along the way), dealt with a lot of change and upheaval as a military wife, and recently marked 47 years of marriage. Over the years, if I’ve needed advice on anything from making a decent cup of coffee to handling toddler tantrums, from coping with diabetic pets to surviving the teen years, she has often been the first person I’ve called. Even when she doesn’t have advice to share, even when she can offer only a shoulder to cry on, somehow I feel better. In this age of voice message systems and automated everything, how precious it is to have someone who will take the time to listen! Do we feel the same about our prayer time with God? Do we know he always listens when we share our worries, fears, hopes and aspirations with him? Even when he doesn’t answer us right away, and even when he doesn’t offer the answer we’re hoping for? And when we spend time in conversation with him, we will be strengthened to face our challenges, we will want to thank him for our blessings, and we will be encouraged to come to him time and again. We value and depend on our conversations with friends and loved ones for guidance and comfort; I pray that, even more so, we would value and depend on the time we spend talking with and listening to the Lord.